Peugeot scooped two major awards at the 34th International Automobile Festival in Paris recently. The new Peugeot 508 won the Grand Prix award for ‘Most Beautiful Car of the Year 2018’ and the Peugeot e-Legend concept received the Grand Prix award for the ‘Most Beautiful Concept Car of the Year’. The new 508 won the award with some 34 per cent of the votes. The brand's radical new fastback has already been presented with 20 awards in nine countries, clocking up more than 10,000 orders in Europe since launch in October 2018, following its public reveal in March 2018 at the Geneva Motor Show. The Most Beautiful Concept Car jury members were won over by the e-Legend concept car, which is reminiscent of the iconic Peugeot 504 Coupé, yet hints at a 100 per cent autonomous, electric, connected vehicle of the future. 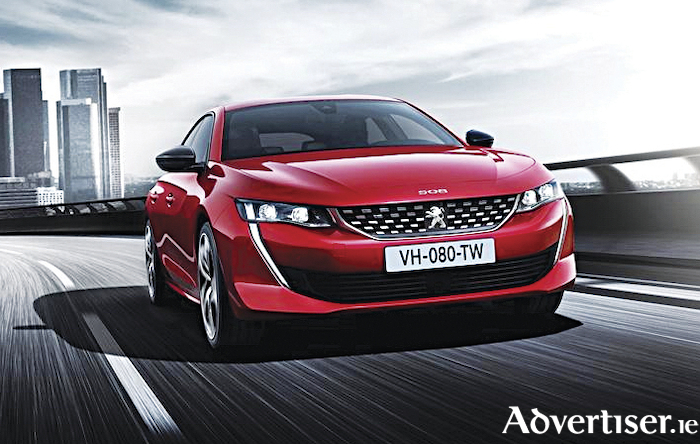 Powered by a 100 per cent electric power train with a range of 600km, and boasting four-wheel drive, Peugeot claims the e-Legend reaches 0-100kmh in less than four seconds, with a maximum speed of 220kmh. Each year the International Automobile Festival rewards the most attractive automotive designs. Meanwhile registration figures released for the critical January new vehicle market have seen the Peugeot brand deliver a combined passenger car and light commercial vehicle market share of 5.4 per cent (+7.4% year-on-year ), the highest share the lion-brand has recorded in any January in Ireland since 2005. Following a strong sales performance in 2018, Peugeot now retains its Top 10 passenger car market share in January 2019, while moving up to fourth place in the light commercial van market (+28% year-on-year and year to date ) to command almost nine per cent of van sales in Ireland.